I have always been a high ball hitter, but I think it is really starting to rob me of distance. This is an 8 iron on my skytrak. Clubs are i500 with dg120 s300. Any good tips for launching the ball lower. Something that promotes better shaft lean and better angle of attack. While on trackman my angle of attack is almost at 0. Any help appreciated. Thank you. Can't help you with the swing - lots of reasons for high dynamic loft so you'd really have to post a video to get the most appropriate help and advice. But while you're working indoors, just realize that some mats can increase launch and decrease spin from what you would see off of grass for the same swing. with a i500 and a light weight shaft, isn’t that what you’re going for? It's all relative of course, but in general terms 120 gm is not usually considered light weight. Below 110 gm - maybe depending on who you talk to but more commonly below 100 gm is where "light weight" really starts. Not too high at all IMO. You want to be able to hold a green, no? I would be more concerned with the quality of strike given the low ball speed. tour avg. 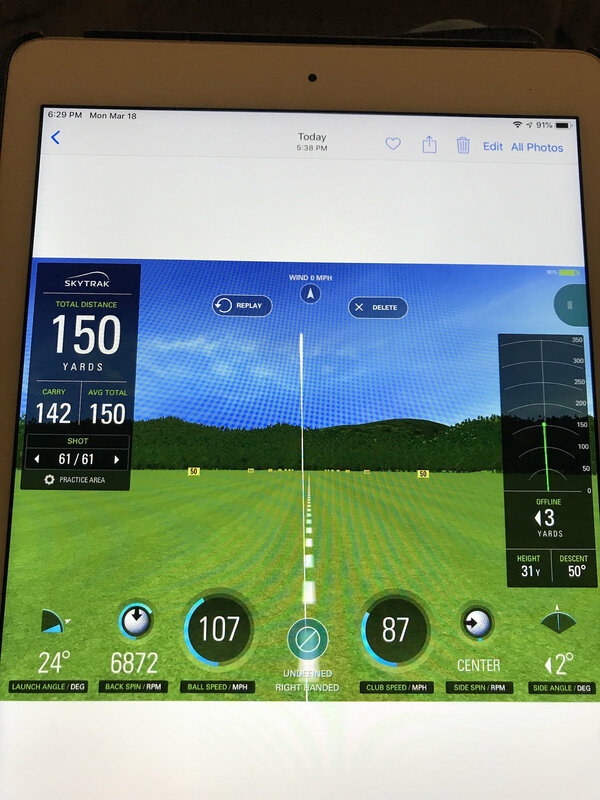 ball speed is 115 with an 8 iron, tour avg launch is 18 degrees. 31 y height isn't that high. I wouldn't want to hit it lower. it's already rolling out 8 yards. average pga tour 8 iron descent angle is around 50, just like yours. they launch it lower and spin it more, but they have more speed than you.